June 2011, University of California Press. “Art in the Rear-View Mirror: the Media Archaeological Tradition in Art,” in: Blackwell Companion to Digital Art, ed. Christiane Paul (Wiley-Blackwell), forthcoming in 2015. “Freedom, Control, and Confusions in the Art Museum: Why We Need ‘Exhibition Anthropology’?,” in: Museum Media, ed. Michelle Henning (London and New York: Routledge), forthcoming in 2015. “’All the World’s a Kaleidoscope.’ A Media Archaeological Perspective to the Incubation Era of Media Culture,” Rivista di estetica, Nuova series, No. 55 (2014), Anno LIV, 139-153. “The Dream of Personal Interactive Media: A Media Archaeology of the Spirograph, a Failed Moving Picture Revolution,” Early Popular Visual Culture, Vol. 11, No. 4 (2013), 365-408. ”The Brown-Urban-Joy Spirograph: A Postscript,” Early Popular Visual Culture, 2014, published on-line July 30, 2014. 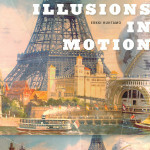 “Illusion and its Reverse: About Artistic Explorations of Stereoscopic 3D,” in: Expanded Narration. Das neue Erzählen. B3 Biennale des Bewegten Bildes, ed. Bernd Kracke and Marc Ries (Frankfurt: Biennale des Bewegten Bildes / Transcript Verlag, 2013), 123-141. “(Un)walking At The Fair: About Mobile Visualities at the Paris Universal Exposition of 1900,” The Journal of Visual Culture, Vol. 12, No. 1 (2013), 61-88. “Screen Tests: Why Do We Need an Archaeology of the Screen?,” Cinema Journal, Vol. 51, No. 2 (Winter 2012), 144-148. “Toward a History of Peep Practice,” in: A Companion to Early Cinema, ed. André Gaudreault, Nicolas Dulac, Santiago Hidalgo (Chichester, West Sussex: Wiley-Blackwell, 2012), 32-51. “What’s Victoria Got To Do With It? Toward an Archaeology of Domestic Video Gaming,” in: Before the Crash: Early Video Game History, ed. Mark J. P. Wolf (Detroit: Wayne State University Press, 2012), 30-52. “Monumental Attractions: An Archaeology of Public Media Interfaces,” in: Interface Criticism: Aesthetics Beyond Buttons, ed. Christian Ulrik Andersen and Soeren Bro Pold (Aarhus: Aarhus University Press, 2011), 21-42. “Natural Magic: a Cultural History of Moving Images,” in: The Routledge Companion to Film History, ed. William Guynn (London and New York: Routledge, 2011), 3-15. “Pockets of Plenty. An Archaeology of Mobile Media,” in: The Mobile Audience: Media Art and Mobile Technologies, ed. Martin Rieser (Amsterdam-New York: Rodopi, 2011), 23-38. “Dismantling the Fairy Engine: Media Archaeology as Topos Study,” in: Media Archaeology: Approaches, Applications and Implications, ed. Erkki Huhtamo and Jussi Parikka (Berkeley: University of California Press, 2011), 27-47. 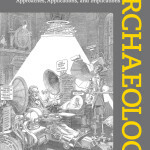 “Pre-envisioning Mediatecture: A Media-archaeological Perspective,” in: Mediatecture. The Design of Medially Augmented Spaces, ed. Christoph Kronhagel (Wien & New York: Springer, 2010), 20-27. “The Diorama Revisited,” in: Sonic Acts XIII – The Poetics of Space, Spatial Explorations in Art, Science, Music & Technology. Ed. Arie Altena & Sonic Acts (Amsterdam: Sonic Acts Press / Paradiso, 2010), 207-228. “Thinkering with Media: On The Art of Paul DeMarinis,” in: Paul DeMarinis: Buried in Noise, ed. Ingrid Beirer, Sabine Himmelsbach and Carsten Seiffairth (Heidelberg and Berlin: Kehrer Verlag, 2010), 33-46. “The Sky is (not) the Limit: Envisioning the Ultimate Public Media Display,” The Journal of Visual Culture, Vol. 8, No. 3 (December 2009), 329-348. “The Origins of the Virtual Museum,” in: Museums in a Digital Age, ed. Ross Parry (Routledge, 2009), 121-135. “Resurrecting the Technological Past: An Introduction to the Archeology of Media Art,” in: Art and Electronic Media, ed. Edward A. Shanken (London: Phaidon, 2009), 199-201. “Aeronautikon! or, the Journey of the Balloon Panorama,” Early Popular Visual Culture, Vol. 7, No. 3 (November 2009), 295-306. “Penetrating the Peristrephic: An Unwritten Chapter in the History of the Panorama,” Early Popular Visual Culture (Colchester, Essex: Routledge), Vol. 6, No. 3 (November 2008), 219-238. “Tactile Temptations: About Contemporary Art, Exhibitions and Tactility,” in: Interface Cultures. Artistic Aspects of Interaction, ed. Christa Sommerer, Laurent Mignonneau and Dorothee King (Bielefeld: Transcript Publishers, 2008), 129-139. “Cyborg is a Topos,” in: Synthetic Times. Media Art China 2008, ed. Fan Di’An and Zhang Ga (Beijing, China and Cambridge, Mass. : National Art Museum of China and The MIT Press, 2008), 52-71. “Intercultural Interfaces; Correcting the Pro-Western Bias of Media History,” conference paper at Re:place 2007. The Second International Conference on the Histories of Media, Art, Science and Technology, Berlin. Download the text HERE. “Twin-Touch-Test-Redux: Media Archaeological Approach to Art, Interactivity, and Tactility,” in: MediaArtHistories, ed. Oliver Grau (Cambridge, Mass: The MIT Press, 2006), 71-101. “The Pleasures of the Peephole: An Archaeological Exploration of Peep Media,” in: Book of Imaginary Media: Excavating the Dream of the Ultimate Communication Medium, ed. Eric Kluitenberg (Rotterdam: NAi Publishers, 2006), 74-155. “Slots of Fun, Slots of Trouble. Toward an Archaeology of Electronic Gaming,” in: Handbook of Computer Games Studies, ed. Joost Raessens & Jeffrey Goldstein (Cambridge, Mass. : The MIT Press, 2005), 1-21. “Elements of Screenology: Toward an Archaeology of the Screen,” ICONICS: International Studies of the Modern Image (Tokyo), Vol. 7 (2004), 31-82. “Peristrephic Pleasures, or The Origins of the Moving Panorama,” in: Allegories of Communication: Intermedial Concerns from Cinema to the Digital, ed. Jan Olsson and John Fullerton (Rome: John Libbey, 2004), 215-248. “WEB STALKER SEEK AARON: Reflections on Digital Arts, Codes, and Coders,” in: Code – The Language of our Time. Ars Electronica 2003, ed. Gerfried Stocker and Christiane Schöpf (Ostfildern-Ruit: Hatje-Cantz Verlag, 2003), 110-128. “Media Art in the Third Dimension: Stereoscopic Imaging and Contemporary Art,” in: Future Cinema, ed. Jeffrey Shaw and Peter Weibel (Cambridge, Mass. : The MIT Press, 2003), 466-473. “Mr. Duchamp’s Playtoy, or Reflections on Marcel Duchamp’s Relationship to Optical Science,” in: Experiencing the Media: Assemblages and Cross-overs, ed. Tanja Sihvonen and Pasi Väliaho (Turku: University of Turku. School of Art, Literature and Music, Media Studies, Series A, No 53, 2003), 54-72. Download the text HERE. “From Cybernation to Interaction: A Contribution to an Archaeology of Interactivity,” in: The Digital Dialectic. New Essays on New Media, ed. Peter Lunenfeld (Cambridge, Mass. : The MIT Press, 1999), 96-110. “Seeing at a Distance. Towards an Archaeology of the ‘Small Screen’,” in: Art@Science, ed. Christa Sommerer and Laurent Mignonneau (Vienna-New York: Springer, 1998), 262-278. “From Kaleidoscomaniac to Cybernerd. Towards an Archeology of the Media,” Leonardo, Vol. 30, No 3 (1997), 221-224. “Digitalian Treasures, or Glimpses of Art on the CD-ROM Frontier,” in: Clicking In: Hot Links to a Digital Culture, ed. Lynn Hershman Leeson (Seattle: Bay Press, 1996), 306-317. “Time Machines in the Gallery. An Archeological Approach in Media Art,” in: Immersed in Technology. Art and Virtual Environments , ed. Mary Anne Moser with Douglas McLeod (Cambridge, Mass. : The MIT Press, 1996), 232-268. “From Kaleidoscomaniac to Cybernerd. Towards an Archeology of the Media”, in: Electronic Culture, ed. Timothy Druckrey (New York: Aperture 1996), 296-303. “Seeking Deeper Contact. Interactive Art as Metacommentary,”Convergence, Vol. 1, No. 2 (Autumn 1995), 81-104. “Encapsulated Bodies in Motion. Simulators and the Quest for Total Immersion,” in: Critical Issues in Electronic Media, ed. Simon Penny (Albany: State University of New York Press, 1995), 159-186. “’It is interactive, but is it art’,” Computer Graphics Visual Proceedings: Annual Conference Series, 1993, ed. Thomas E. Linehan (New York: ACM SIGGRAPH 1993), 133-135. “Twenty Fragmentary Thoughts on Video Installation,” in: Interface. Nordic Video Art, ed. Pål Wrange (Stockholm: Stiftelsen Nordisk Videokonst, 1990), 18-23. Download the text HERE.